Wat is dit voor site? Wij zoeken de goedkoopste boeken op internet. The Modern Papacyvonden we het goedkoopst op Bol.com voor €32.99. We hebben gezocht in nieuwe en tweedehands boeken. Rechtsonderaan de pagina kan je het boek direct bestellen	via Bol	.com. This is the fifth volume in the Major Conservative and Libertarian Thinkers Series . Since the dawn of the Enlightenment, modernity and the Papacy have experienced a difficult though never severed relationship. 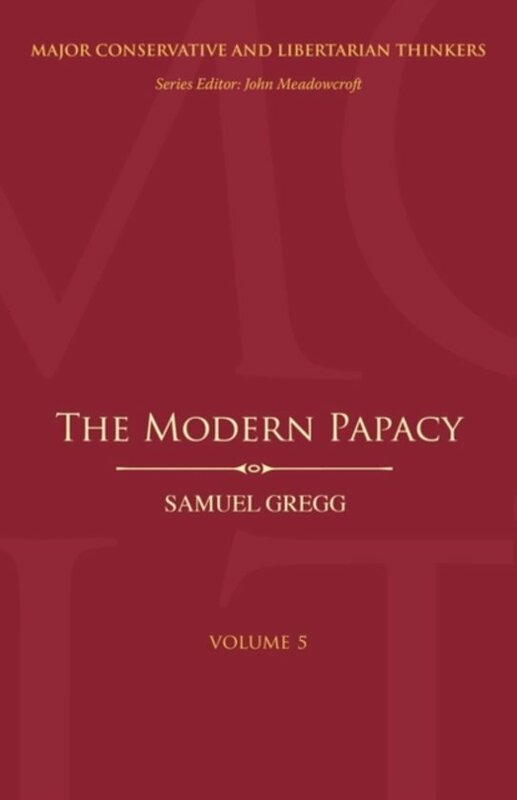 Modern Papacy goes beyond the caricatures to demonstrate how the popes - specifically John Paul II and Benedict XVI - have articulated a sophisticated critique of the post-Enlightenment world, one that acknowledges the real progress made in modernity while simultaneously highlighting its political and philosophical shortcomings. Far from falling on deaf ears, the nature of their engagement with the modern world has sparked criticism and praise from Catholics and non-Catholics alike - sometimes in surprising ways. Whether the subject is faith and reason, religion and the modern sciences, the roots and future of Europe, or the origin and ends of human freedom, John Paul II and Benedict XVI pose questions that simply cannot be ignored, regardless of whether one likes their answers. Major Conservative and Libertarian Thinkers provides comprehensive accounts of the works of seminal conservative thinkers from a variety of periods, disciplines and traditions - the first series of its kind. Even the selection of thinkers adds another aspect to conservative thinking, including not only theorists but also thinkers in literary forms and those who are also practitioners. The series comprises twenty volumes, each including an intellectual biography, historical context, critical exposition of the thinker's work, reception and influence, contemporary relevance, bibliography including references to electronic resources and an index.